Now available from XForce Performance Exhaust is the Airaid Cold Air Intake System with SynthaFlow filter which has been specifically designed to fit the 2015-2017 Ford Mustangs equipped with the Coyote 5.0L DOHC V8 engine. The Air Intake System is simple to install, yet an extremely sophisticated system which increase air flow while maintaining proper air-to-fuel ratios, thereby eliminating the need for recalibration after installation. Just bolt it on and go! Increase horsepower and torque. 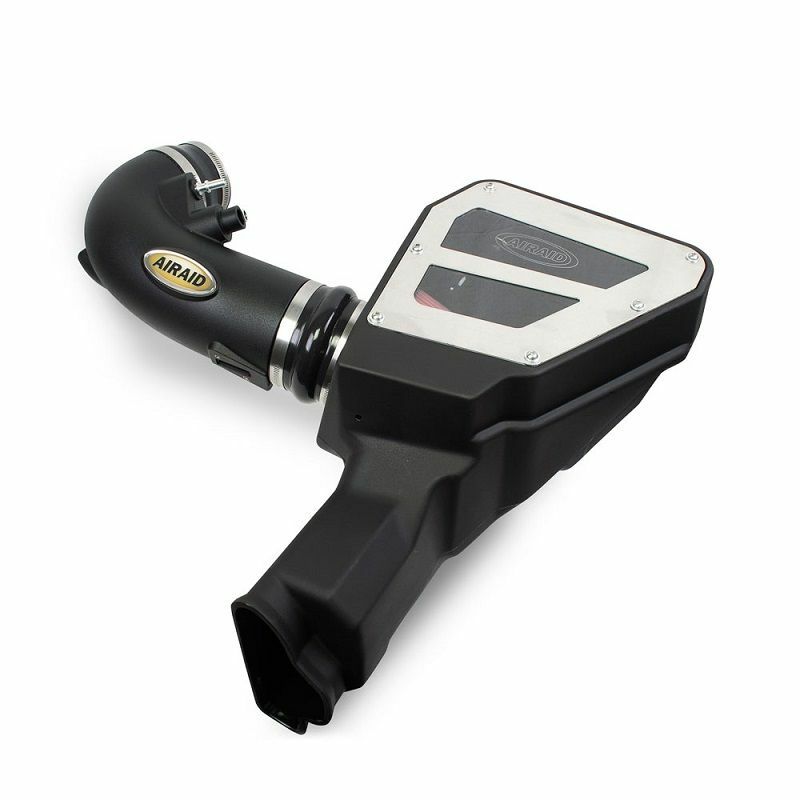 Airaid Cold Air Intake Systems are computer designed to give your 5.0L Coyote engine maximum air flow, which translates to more horsepower, torque and improved fuel efficiency. 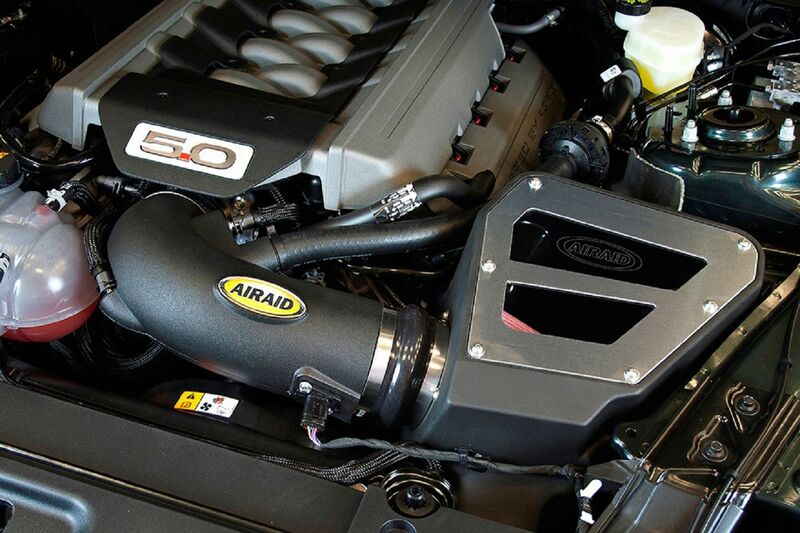 Airaid intakes are dyno tested and tuned for maximum performance and efficiency. No Tune Required. This Airaid Cold Air Intake is designed to improve the performance of your 5.0L V8 powered Pony without any computer reprogramming required. By utilizing state of the art computer-aided designs, Airaid Intake Systems offer unmatched fit, finish, and power! Superior Filtration. Each cold air intake provides superior air filtration, since it includes an Airaid Premium Filter with SynthaFlow® technology. SynthaFlow® is a synthetic nano-fiber material that traps the smallest dirt particles that ordinary cotton-gauze “performance” filters just can’t capture. Airaid Premium Filters, with SynthaFlow® can capture particulates down to 2 microns in size. And best of all Premium Filters are washable and re-usable saving you money. Purchase yours from your local authorised XForce dealer. Click HERE to locate your nearest stockist.